Governments can lead the way in showing how data collection is used to benefit residents and delivering improved services. 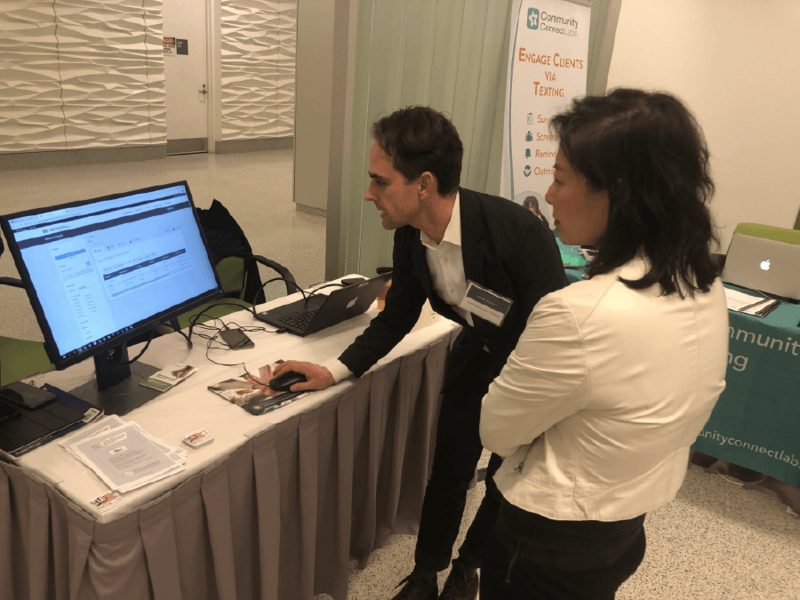 CommunityConnect Labs presented examples of its local city surveys and Census solutions at The Opportunity Project’s (TOP) Demo Day at the U.S. Census Bureau this past March. “This is a critical moment because there are too many examples of improper use of data to exploit people,” CommunityConnect Labs CEO & Founder Perla Ni said to the crowd that included senior federal agencies and technology companies. “Government can show people a different path — how data is being used to better people’s lives. Examples such as the city of San Jose’s use of local data to expand broadband access demonstrates to residents that government doesn’t just collect data. Residents can see that government, more importantly, uses the data to help people in a tangible way. Ni highlighted the on-the-ground impact that local governments can have using local sourced data. She focused on the city of San Jose’s recent work measuring the digital divide throughout the heart of Silicon Valley. Despite its moniker as the “Capital of the Silicon Valley,” many residents of San Jose, Calif., have limited or no Internet access in their homes. These residents include school-age children like Linda Mimila, a senior at Lincoln High School interviewed by KTVU news, who said she struggled through her junior year without a computer at home. “It's super hard to write an essay on your phone,” said Mimila, who was able to borrow a computer from her teacher this year. 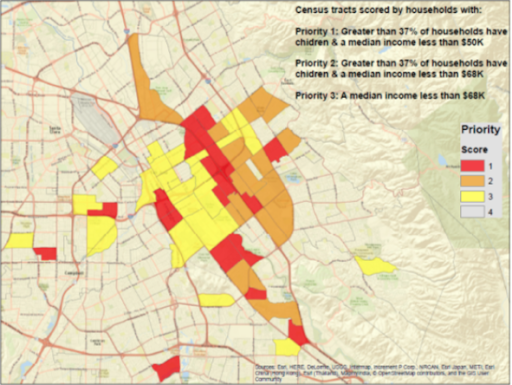 While the city of San Jose wanted to change its residents’ lack of basic access to Internet and computer technology in the home, the city did not know how pervasive the problem was, the existing barriers to greater Internet access, and how the problem was perceived by and uniquely affected low-income parents from different backgrounds. The survey confirmed the barriers faced by students like Linda. 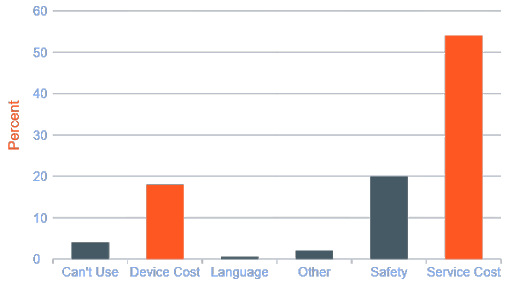 Among the many findings of the survey, the cost of both computers and Internet was a substantial barrier for low-income families. The city of San Jose’s work with the digital divide provides a potent recent example of government using local data for tangible benefits to local citizens. In February 2019, it announced the creation of a 10-year, $24 million Digital Inclusion Fund (DIF) that connect 50,000 San Jose households with computers and the Internet. The DIF will be raised through fees that telecommunications companies like Verizon, AT&T, and Mobilitie must pay the city in their 5G infrastructure investments. In addition to computer lab-style classes for students, the initiative will include training parents on Internet safety and technology use, as well as expanded Internet access in homes for 95,000 “unconnected” residents. For seniors, the initiative might mean learning how to navigate a health care website that allows them to talk to their doctor more easily. For students, it might mean the ability to file a homework assignment or apply for a job online without having to trek to a library, Starbucks parking lot, or someplace else with free wireless. “You hear stories like this every day here at the Census Bureau about how good data leads to government being more helpful. Collecting good data, however, is increasingly challenging, as response rates are declining,” Ni said in closing. “Looking into the future, we believe that governments can lead the change in creating a new paradigm for data collection like in San Jose. Demo Day is an interindustry, interagency demonstration day created through The Opportunity Project (TOP) federal initiative to host technology industry and university teams to showcase 20+ new innovative tech tools. These new tools address challenges such as using artificial intelligence to connect veterans with apprenticeships, promoting access to and interest in STEM (science, technology, engineering, and math), using geospatial data to prepare for disasters, combating the opioid crisis, and improving access to and management of federal grants. TOP is a collaborative effort among government agencies, technology companies, and nongovernment organizations to translate federal open data into user-friendly tools that solve real-world problems for families, communities, and businesses nationwide. Since 2016, 20 federal agencies and more than 100 technology companies, universities, and local communities have come together to develop solutions that improve access to economic opportunity, resulting in the creation of more than 75 digital tools that now help families, schools, local officials, and other members of the public. Bay City News Service. City to Approve Initial Funding for $24M Program to Close ‘Digital Divide’ in Silicon Valley. SFGate. Feb. 13, 2019. Accessed April 2, 2019. City of San Jose. Office of Mayor Sam Liccardo. San Jose Launches Digital Inclusion Fund to Close the Digital Divide. News release, Feb. 12, 2019. Accessed April 2, 2019. DeRuy, Emily. San Jose Launches New Fund to Bring Internet to Thousands of Offline Homes. The Mercury News. Feb. 13, 2019. Accessed April 2, 2019. Louie, David. San Jose Mayor Sam Liccardo, City Council Members Announce New Fund to Connect 50,000 Households to Internet. ABC7 San Francisco. Feb. 13, 2019. Accessed April 02, 2019. Teale, Chris. San Jose, CA to Bridge Digital Divide with New Inclusion Fund. Smart Cities Dive. Feb. 14, 2019. Accessed April 02, 2019. Yelimeli, Supriya. San Jose to Approve Initial Funding for $24M Program to Close Digital Divide in Silicon Valley. Fox 2 KTVU. Feb. 12, 2019. Accessed April 02, 2019.